Wallan Region, Victoria – Australia “Rural Landscape”_Photographed by ©Karen Robinson http://www.idoartkarenrobinson.com July 2017. Comments: Day out with daughter photographing landscape and wildlife on a beautiful winter’s day. Featured in the foreground of the photo Australian native plant ‘Yellow Heath’. 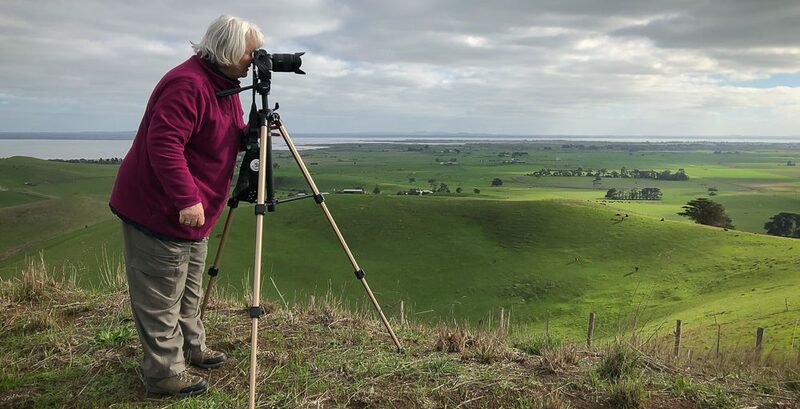 Spending time with my daughter taking photographs of our local Wallan region (Victoria – Australia) is such a joy. She enjoys taking photographs of birds and other forms of wildlife, while I enjoy taking photographs of the landscape. On this particular winter’s day the weather was kind! The sun shone, and a gentle cool breeze brushed across our bare faces. We explored the region finding small visual treasures to photograph; below here you will find a selection of the best I took on the day. Wallan Region, Victoria – Australia “Rural Landscape”_Photographed by ©Karen Robinson http://www.idoartkarenrobinson.com July 2017. Comments: Day out with daughter photographing landscape and wildlife on a beautiful winter’s day. Featured in the foreground of this photo Australian native plant ‘Yellow Heath’. Wallan Region, Victoria – Australia “Rural Landscape”_Photographed by ©Karen Robinson http://www.idoartkarenrobinson.com July 2017. Comments: Day out with daughter photographing landscape and wildlife on a beautiful winter’s day. Featured in this photograph above a flock of ‘Crested Pigeons’ taking flight! Wallan Region, Victoria – Australia “Rural Landscape”_Photographed by ©Karen Robinson http://www.idoartkarenrobinson.com July 2017. Comments: Day out with daughter photographing landscape and wildlife on a beautiful winter’s day. Featured in this photograph above a horse residing in a grass paddock within an area called ‘Hidden Valley’. This entry was posted in Photography and tagged Adobe Lightroom 6, Australian Native Flower, Blue Skies, Cattle, Crested Pigeons, Green Fields, Hidden Valley, Horses, Karen Robinson, Landscape Photography, Rural Landscape, Samsung Galaxy S6 Mobile Phone, Sony A FE24-240mm F3.5-6.3 oss Lense, Sony A7 Mark II Camera by idoartkarenrobinson. Bookmark the permalink.